Writing a blog post is quite a tedious task for a lot of bloggers. Many people have the problem to forgetting the info they were going to write in their post. Many people forget about the readability and flow of a blog post. These mistakes can cause serious damage to your blog and the trust it has built in your audience. A blog is always seen as a helpful resource for readers and so it has to have a good flow, precise information and adequate images to retain the readers attention. Here I am going to outline the 4 simple steps you can take to write a blog post without missing any information you want to present to your readers. Step 1) Identify the topic and research information. Open up your notepad,word pad, a piece of paper or your blog editor and write down the topic you are going to create a blog for. Write down all the initial thoughts which come to your mind and what you would like to discuss about in your blog. Create a rough draft. A sort of summary so you don’t forget your central idea. Remember, whenever your mind gets struck by an idea for a blog post write it down immediately or you’ll forget it later. If you are not at your work desk you can save it in your smartphone or anywhere you like. Step 2) Cite different sources and conduct a research. It doesn’t matter what topic you are writing about, but if you are going to present any facts or data, you need to back it up. Researching your topic before writing a blog post gives you an advantage. You can see what news is trending about your topic over the internet so you can make your blog post more relevant to the current trend. Conducting a thorough research also makes sure that you compile enough and correct information to write a trustworthy post. Your audience should trust you and your content. Open up all these different websites into different tabs in your browser. Close those sites which you think are not relevant and need not to be used as a source for your blog. This way, you’ll end up with a lot of good, and legit content backed up with sources for your blog post. Step 3) Create a Flowchart. Divide you ideas and the topics of discussion in to different bullet points. Before you start writing your blog post in detail, create a bullet list of all the points you are going to write about. This would help you in remembering all the points you were going to write about in your post. So that nothing gets left and your readers get the best value out of your post. Extract the relevant bullet points from the different websites you have researched and write down each bullet point revolving around the content of that website. Once you are done with this. Expand each bullet point with content. You can put in any facts and cite the source website in your blog as a reference. This phase would take around one hour because you have already researched all the information. Summing up the info doesn’t take much time. Step 4) Adding images and Final Touch up. You chose you topic, researched it over the internet and created your content. Now you are almost done but some final touch ups need to be made before publishing your blog post. You can download stock images or free creative common images from websites like gettymages, shutterstock and pixabay. If you are using images from any other website you have used as a resources, remember to cite the source below the image. If you are concerned with SEO and are using wordpress for your blog, you should install the Yoast SEO plugin. It is an amazing tool to check the SEO parameters of your blog posts. This would help you in the long run to achieve higher search engine rankings. Set Featured Image and Categories. Set a featured image for your blog post. This is the face image of your post. The image should be appealing and relevant to your topic so its attracts more clicks. 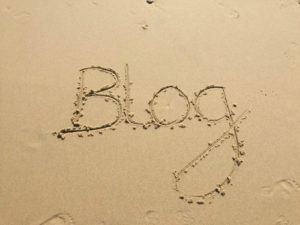 You should categorize all the posts on your blog. This gives your users as well as the search engines a better idea of what your post is all about. This is final and the most important step of publishing a blog. Once you have written your post, you need to review it to spot any errors. You don’t want to publish a blog post which has grammar mistakes, irrelevant information or any other errors which makes it an unpleasant experience for your reader. It takes only about five to ten minutes to proofread a blog post. Check the sentence structures, the facts and all the links. Make sure they are perfect. After doing all this, you are now ready to publish your new blog post. Hit the publish button straightaway and let people read what you have to say.